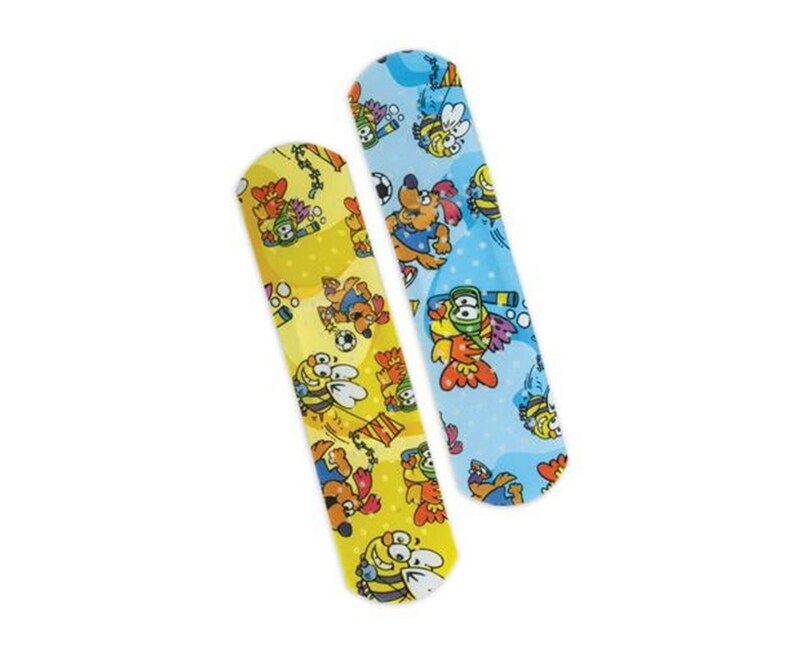 Curad's Medtoons Adhesive Bandages feature colorful designs that will delight kids. Designs include:Soccer playing dogs in red and white sneakers, smiling yellow bumble bees flying kites and colorful striped fish snorkeling with green goggles. The durable acrylic adhesive is skin-friendly and absorbent, while the non-adherent island pad seals out dirt. The bandages measure 3" x .75", are sterile and latex-free, and come in a convenient dispenser box (no retail packaging). 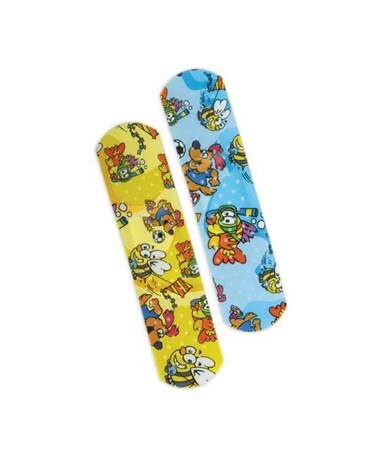 We offer the Medtoons Adhesive Bandages in two quantities. Select from the drop down menu above.